Aren’t life coaching and counseling basically the same? They just help people right? 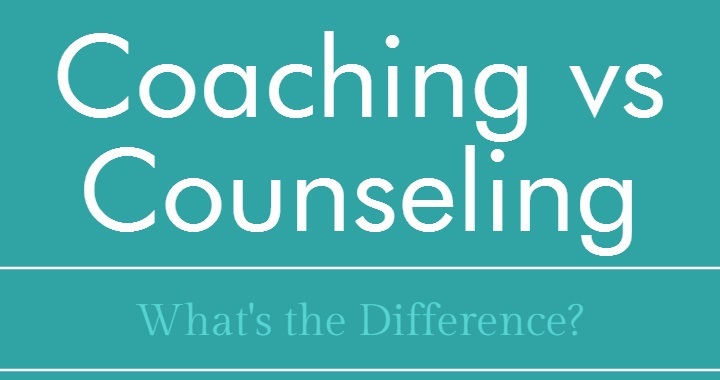 As you can see from the infographic, Coaching and Counseling fit different needs. For those that have things in their past they need to address before moving forward, counseling is the tool to do that. But for people who are looking to the future, want to set and achieve goals, and grow to their full potential, coaching is a powerful instrument for that. While there is some overlap at times between counseling and coaching, generally, one might initially get counseling, and then move into life coaching as the focus turns from issues int he past, to making progress towards the future. What Does a Coaching Appointment Look Like? A life coaching appointment doesn’t have a certain look’, it can be as casual or formal as the coach and coachee want. Many coaching appointments are done over lunch, Skype, or in other convenient settings. What matters is the content of the appointment, which should typically include accountability, goal setting, planning, and other growth tools. Here at CoCoaching, we offer a simple training course in the fundamentals of life coaching, which will teach you everything you need to start reaping the benefits from this one on one system. To get started, you need to find a friend who would also want to grow, and be willing to get trained to coach you. Visit What Is CoCoaching to get a clear picture of how this process works. And if you’re ready to make progress in goal attainment, then Launch CoCoaching now!